planting seeds until Kingdom come! GOOD NEWS! If you are a kid or a teenager, God is super excited about you. He wants to talk to you and teach you and take you on awesome adventures with Him. Jesus said that the Kingdom of God is yours! That means that in Jesus’ name, you get to see sick people get healed, pray prayers that change the world, and the best of all – actually have GOD as your BEST FRIEND! Listen, God’s not a boring old man. He cares about adults, but Jesus said that even the adults have to be like kids if they really want to join what God’s doing in the world. So, don’t ever think you can’t do what God wants you to do because you’re young. That’s a major lie. Yep. God told Jeremiah, “Don’t say, ‘I’m just a kid.’ You get to go everywhere I send you and say everything I tell you!” That’s what God told Jeremiah, and it’s true for you too! I DARE YOU to get serious about your relationship with God! God is definitely serious about His relationship with you. He can’t wait to teach you and lead you on fabulous adventures, but the next step is yours. The Bible says in James 4:8, if we get close to God, He’ll get close to us. So, spend your time getting close to God now! You’ll never regret it. I promise. Below are some tools to get closer to God, but the best tool is to start reading your Bible and asking the Holy Spirit to teach you. You can do that anytime and anyplace. God will speak to You because He loves you. If you have any questions about how to build a friendship with God, send me a message here, ok? God never intended for kids and youth to be relegated to the back rooms of the Kingdom of God until they were “old enough to understand” – as if the message of Jesus was for an elite group of boring old people! Jesus pulled children front-and-center and told His followers that the Kingdom belonged to the kids! If adults want in on what God is doing in the world, they have to be like children. So, why do churches so often babysit kids and entertain the youth mindlessly – while the adults receive the teaching about spiritual maturity? Why aren’t kids taught to hear God’s voice and walk with Him? Why do church leaders call kids the “church of tomorrow”? Come on! That’s ridiculous! Children and youth are the church of TODAY! Kids receive God a lot better than most adults. Their faith is pure and unpolluted – until churches teach them to fear men instead of God. When does that happen? When the church tries to make nice kids instead of young God-seekers. Kids can hear God better than most adults, so let’s start introducing them directly to Him instead of doing a terrible job at trying to mediate for Him. Will we trust the Holy Spirit enough to lead the little ones? The Kingdom of God belongs to them! 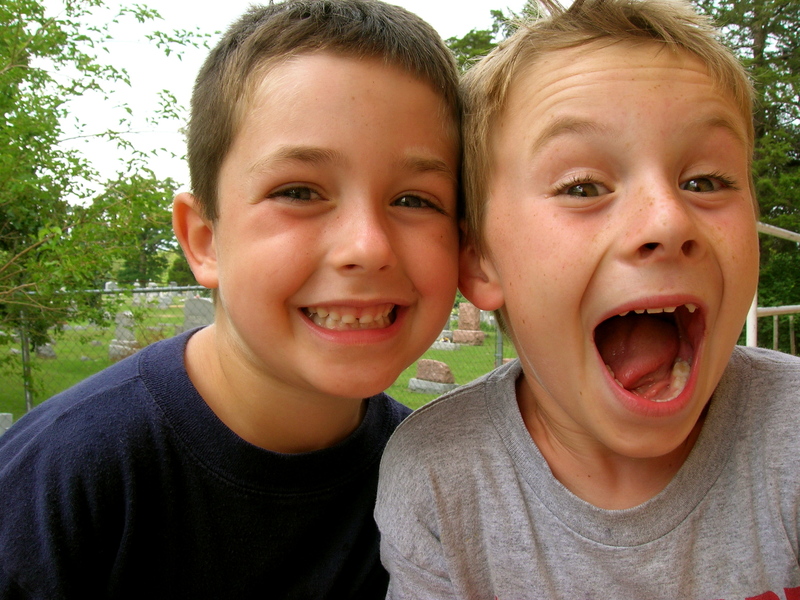 Why Children’s Ministry is Vital! It's Gonna Be Worth it All! If you would like to support my work financially, you can give directly through Pay Pal or learn about more ways to partner here.